Admittedly, gear isn’t cheap. Like lots of sports, hobbies, and other activities, the initial startup cost can be prohibitive. That being said, there are ways to mitigate some of these costs and still get what you need for a successful trip. Here are some tips that can help you save a few dollars (while spending a few, for sure) at various points along your quest for adventure in the great outdoors. 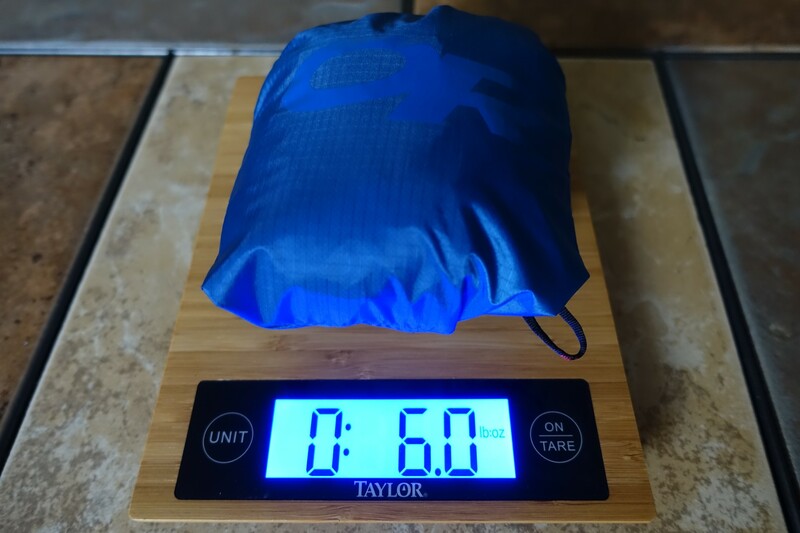 I’ve written a lot about the importance of carefully selecting a clothing system, but the reality is that early on this won’t matter as much because A) you’re not climbing Everest on your first trip, and B) you can backpack in any old crappy clothes, but you won’t get very far without a backpack, sleeping bag, and shelter of some kind. These items alone can make the initial startup cost prohibitive. If you can’t afford to buy everything at once (and really, who can) finding a group to go with can be an important first step. Not only will it serve as a way to learn basic skills, but you’ll likely be able to borrow some gear until you can get your own. There tons of options available, from youth organizations to online meetup groups to guided trips through a local outfitter. Ok, so there’s no such thing as free money. But there are various ways to make your money work for you. The first is a fairly basic (yet often overlooked) personal finance tip: start a rainy day fund. Instead of trying to find money in your budget each time you want to buy a piece of gear, start putting money aside each month (or every paycheck) into a general hiking fund, whether you need something that month or not. Then when you do buy something you can do so without having to choose between food and rent that month. The important part is not to skip deposits during periods when you’re not in the market for anything. You will eventually want something and it’s nice to be able to buy gear without your main account taking a hit. Another invaluable tip is to make your credit card work for you. There are plenty of cards out there that have rewards associated with them. The most obvious choice for this pursuit would be the REI Visa (soon to be MasterCard) card. You get something like 10% back on all REI purchases (non-sale items) with an additional 5% for everything you buy at REI and charge to your REI card (which includes sale items, I believe). Additionally (and this is where you can really make out if you’re disciplined about it), you get 1% on all non-REI purchases. If you’re responsible about paying off your card every month, charge everything you can to that card. Gas, groceries, cell phone… hell, see if your landlord will accept rent via credit. Think of it this way: for every purchase you make, especially if it’s something you’d be buying anyway, you’re getting free money if you use your credit card. 1% may not sound like a lot but it can add up. There’s also a misconception that you only get this money back in the form of REI store credit. This is true when the dividend checks are first sent out in March, but anything you have left by July can be cashed out. It’s your money, not store credit. Granted, REI does their best to try to get you to spend it with them by offering a 20% coupon along with your dividend, so I can’t honestly remember a time when I actually cashed it out. Still, I’ve been able to get a lot of things over the years that were essentially free. Let’s be honest, finding something on sale (especially at a significant discount) can be a huge influence over whether or not you buy it. Unfortunately, sale items can come at a different kind of cost: if you’re overly influenced by the price you may find yourself compromising in other areas that you’ll later regret. Yes, shopping sales can be a huge way to save money, especially on end-of-season clearance items. The trick to sales, and I can’t emphasize this enough, is to make a list of the things you want ahead of time and only buy the sale item if it’s on that list. In some cases it doesn’t need to be the exact model, but make sure you’re not compromising on a feature you wanted just because there’s a sale. You may save money in the short term but you will inevitably seek out something closer to what you originally wanted at a later time. Even if you’re able to sell the first item, you’re probably not going to get what you paid for it, which means you ended up spending more money than if you just waited to get what you actually wanted in the first place. Your list doesn’t need to contain specific products either; for example, if you know you want a lidless backpack with a roll top closure, but you don’t necessarily care about the brand or model, put that down. The point is that if you want a lidless backpack with a roll top closure, don’t buy a backpack with a lid and a drawstring closure just because it’s on sale. Likewise, if you see a rain jacket at a steep discount, make sure it has features you want (laminated zippers vs a storm flap, pit zips, etc.) and not ones you don’t. Another way to easily part with your money is to buy something because you see it and think, “that’s cool, and it’s a good price”. If you find yourself drawn to a particular piece of gear, ask yourself EXACTLY why. Are its features suited to your needs? Or does it just look cool? Believe me, I know there’s a lot of cool looking stuff out there. BEWARE OF ACCESSORIES. Items that are advertised to work with other items to make them better are almost always unnecessary. I find the camp kitchen sections to be especially guilty of this sort of thing. One of your goals for backpacking should be to take less, not more, so be critical about everything you plan on carrying. Also ask yourself whether the item you’re looking at is going to fit into your current system or push your system in a different direction entirely. If it’s the latter, be prepared to spend a lot more money trying to develop a whole new system (see the earlier post, “Developing a System”, for examples of what I mean). I’ll come right out and say it: I’m not sentimental about objects and I do a pretty good job of getting rid of things I don’t need, but in practice hiking gear is an exception to that rule. I have a gear graveyard that contains things I’ll probably never use again, nor will I get rid of, whether it’s for historical reasons (remember when I had to use that old thing?!) or for “spare parts” reasons (if I go on a trip with people who don’t have x, y, and z, I’ll be able to loan them stuff). That being said, unless you’re planning on being involved with a group of people where you’re loaning stuff out: just sell it. Then put the money you get for it back into the hiking fund.